The International Fair of Technics and Technical Achievements, held on May 21 – 25, the most respected, largest and oldest regional fair event devoted to technics, technical/technological achievements and innovations, confirmed its undoubtedly high rating also this year, not only as the presentation point of the current technical/technological civilisation, but also as a representative section of the regional and global exhibition industry. This was spoken about also by Mr. Nenad Popović, Minister without Portfolio in the Government of the Republic of Serbia, in charge for Innovations and Technological Development, while he was festively opening the Fair. This year’s 62nd edition of the Technical Fair coincided with even two important Anniversaries related to the television – the 80th Anniversary of Belgrade Autumn Fair 1938, when Philips company presented the first, historical system of TV broadcasting in the Balkans. Through the television broadcasting station, the audience could watch the programs at the screens in the Fair Pavilions. There was also the 60th Anniversary of the first live broadcasting of TV Belgrade, from an improvised studio at the new Belgrade Fair, on the occasion of the 2nd Fair of Technics and Technical Achievements, which is considered at the same time as the beginning of the television history in these regions. The RTS and the host celebrated this global worth Anniversary properly, by the relevant plentiful program. Beside the individual exhibitors, National and Group Exhibitions of Austria, the Czech Republic, Slovenia, Slovakia, Turkey, Republic of Srpska (Bosnia and Herzegovina) and, for the first time at a fair event in Serbia – United Arab Emirates, were organized and the organizers in all cases were the relevant Ministries and other public authorities. 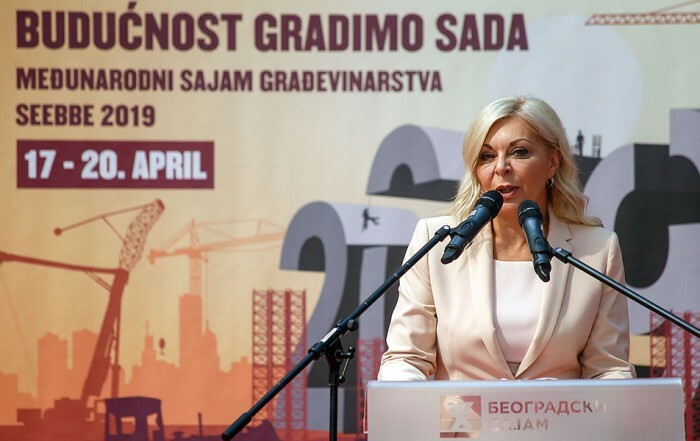 Under the auspices of the Serbian Chamber of Commerce and Industry, many Chamber and trade organizations, Regional Chambers of Commerce and in other ways organized Serbian businessmen were featured in groups. 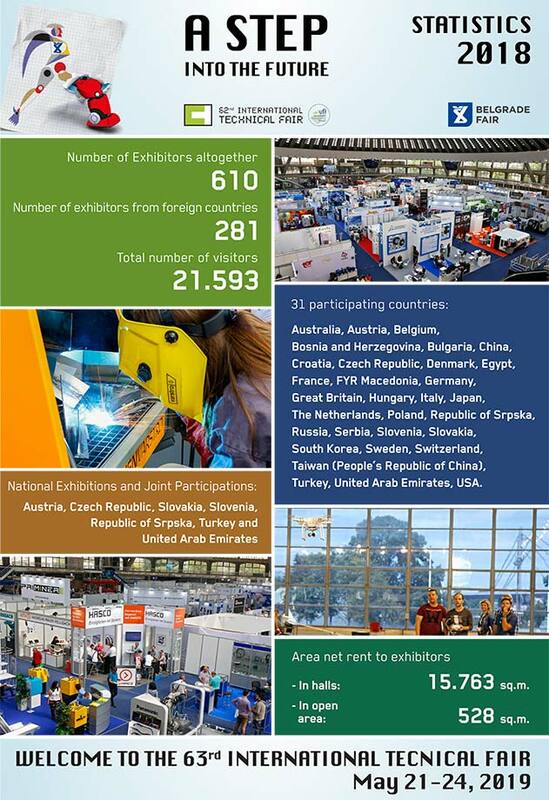 The exhibiting and trade side event programs, executed at about 16,000 sq. m. exhibiting space, in Belgrade Fair seven halls and the entire outdoor space, attracted 21,593 visitors, mostly the business ones. Among them considerably increased is the number of business visitors, including many international ones. The growing trend of the regional group visits was continued. The traditional basis of the exhibitions consisted of the exhibition of tools, processing technics, robots, software and communication lines necessary in the production processes characteristic for the Industry 4.0 and industrial automation, then metal processing machines, tools and accessories , welding, compressors… The electrical engineering and thermal technics sector was presented by the electric power production, transfer and distribution and telecommunications, measurement and supply sources, installations, office and home lighting, energy, industrial and home electronics, HVAC, transport and logistics, metallurgy and metal casting, etc. were not missing, either. 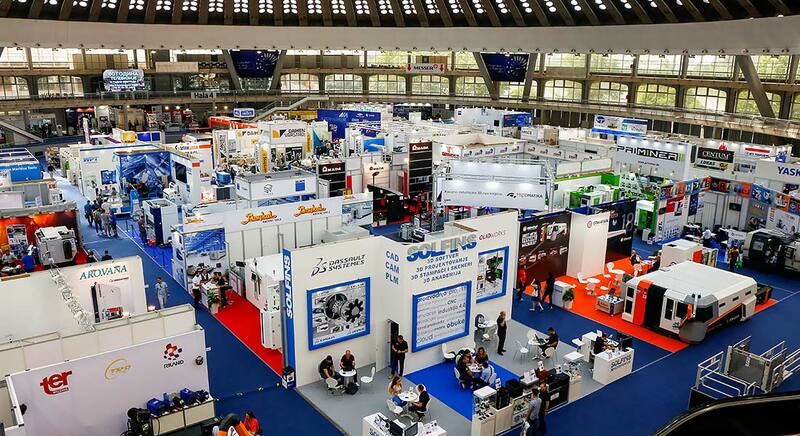 Compared with the last year, more expansive exhibitors’ attendance was noticed within the additive and 3D technology, manufacturing of the equipment and technologies for waste water and gas preparation and cleaning, manufacturers of packaging, industrial packing machines and equipment and installations (electric installation materials, cables, conductors, etc). In almost all Fair exhibiting sectors applied were innovative products, news, exclusive and premiere items, about a hundred of them, almost a half of them the local companies and research institutions, which kept also this Fair edition in this section at an enviably high level. Most innovations were within 3D technologies, robot implementation, CNC machines, laser technology implementation, recycling technology, electrostatic powder coating (plastification), energy more efficient motors and the innovators were especially motivated in the sectors of tools, measuring technologies, automation, industrial and ERP software, as well. Related to the support to the innovation enthusiasm was also featuring of all six final teams in The Best Technological Innovation competition 2017 in Serbia. The winner there was Carp System – Dot Spod from Zrenjanin, with the Fish Feeding Rocket and the remaining five were Ingel, Rakovac (The Opportunities of the Use of Low Voltage with the Increased Value for the Electric Power Supply to the Sealing Systems), Hibridni Klavir, Belgrade (Piano MIDI Converter); Swiftbuild, Belgrade (Swiftty Convertor); Fluid Plus, Belgrade (High Efficient Dispersion Dryer); Zeobion, Belgrade (Zeobion). 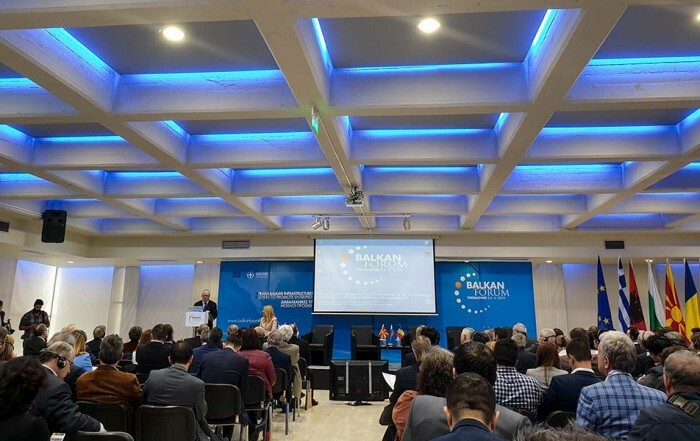 The peak of the scientific research section in the technical / technological fields presented at the Fair was the presentation of 31 scientific research organizations in Serbia presenting their research projects, supported by the relevant Ministry of Education, Science and Technological Development. The plentiful professional Side Event Program of this year’s Technical Fair focused the problems of energy efficiency and the next generation technologies – Industry 4.0 (Solfins, CadCam Data…), 3D and additive technologies and the innovativeness as a must. In addition to the already mentioned, the Ministry of Education, Science and Technological Development organized also a Round Table Conference with the topic ‘The Best Technological Innovation: How to Move Serbia by Innovations’. The Innovation Fund of the Republic of Serbia had already on the first Fair day the presentation with the topic ‘By Innovations to the Market: Irretrievable Funds for the Innovative Solutions of Serbian Companies’. The Innovation Center of the Faculty of Mechanical Engineering in Belgrade, together with Tehimpuls from Timisoara, its partner from the European Entrepreneurship Network, organized meetings of Serbian and Romanian small and medium-sized enterprises. The Association of Inventors Serbia was the youth competition host for the entrepreneurship and innovations. The Program included also many other presentations, lectures, demonstrations and competitions. For instance, in the competition section certainly the most attractive and comprehensive was the Republic Competition of High School Students in Welding ‘The Young Welder 2018’. Within the ‘demonstrations’ it was the entertaining and educational competition of our famous actors (Stefan Buzurović from ’The Truths and Lies’, Bojan Perić from ’Military Academy’, Peđa Damnjanović, Nemanja Živković, Dimitrije Ilić, Andreja Maričić, Zoran and Rade Ćosić) in precise control of unmanned aerial vehicles – drones. Very important and well visited section of the Side Event Program was the evocation and education program of the Radio and Television of Serbia, called ’The Days of Television and Radio at the Technical Fair’, celebrating by it the 60th Anniversary of the Beginning of TV Program Broadcasting of TV Belgrade, from the studio at Belgrade Fair, but also Radio Belgrade 2. The Television featured about ten major or minor devices from the earliest years of its operation (the first electronic color camera, the oldest film camera, the mobile tape recorder, the first TV set…) and in the improvized studio of the first TV Daily News, the visitors were able to act as a speaker reading texts in front of a camera… The Radio offered about ten minor or major devices from the early years and in the improvized studio, famous journalists and program hosts of Radio Belgrade 2 program talked to the visitors… who could hear also the original recorded effects, listen to the legendary radio dramas from the oriiginal tapes, look at the covers of the records that changed the history of the radio and music relations, but also try to be actors in a radio drama creation or be the host of the cult Tup-Tup show. ‘The Vault’ was showing a selection of its own production throughout the Fair and RTS Planet featured a multimedia platform and the opportunity of selecting the program features in it. According to the visitors’ interest, just this RTS program was the most interesting and attractive part of the Side Event Program of the Technical Fair. Belgrade Fair Professional Jury granted also the traditional awards to the most successful participants in various sectors and the most valuable one – Great Award A Step in the Future – was won by Kaldera Company d.o.o. 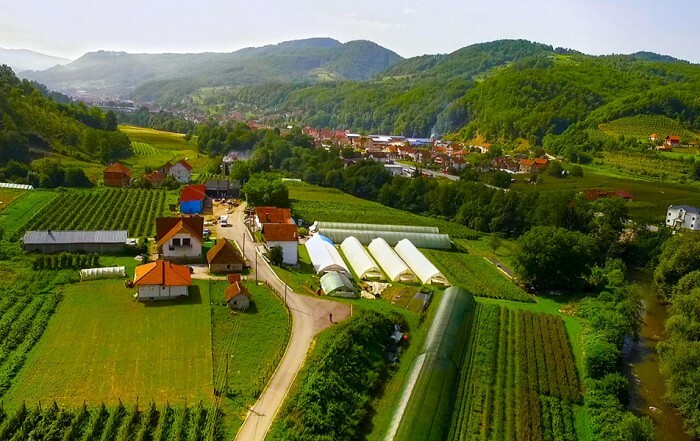 from the Republic of Srpska / Bosnia and Herzegovina (for the automatic APGS Anti-hail Station), Grindex from Kikinda (for the Cut Grinding Machine Model BBN 300 CNC L) and Proficut from Bački Petrovac (for the Slice with the Option 3D F 45 ) – all of them in the Integra field; za rezanje laserom sa opcijom 3D F 45) – svi u oblasti “Integra”; Proficut from Bački Petrovac, for the Welding Simulator S/N 00001288 (Welding field) Mikro Kontrol from Belgrade (for the Yokogawa TDLS 8000 Laser Gas Analyzer), Measuring Equipment and Instruments field. Special Recognitions were won by: Proficut from Bački Petrovac for the Demonstration Robot Cell for Pick & Place (in the field “Integra – Systems and Components for the Automatic Installation, Packing and Handling”), IZIT from Croatia, for the Stratasys 3D Production System of FDM Technologies (in the field “Integra – Additive and 3D Technologies), INGNS-Inženjering from Novi Sad, for the IFM System for Vibration Monitoring (in the field “Integra – Electronic Measurement Instruments and Devices”) and PPT Inženjering from Belgrade, for the Electric- Hydraulic Generator for the Flat Griffer No 12-123490, Pneumatic-Flex from Nova Pazova, for the Hydraulic Extruder Generator, mark EK2-01-00-000 and AMIS Maschinen – Vertriebs GmbH from Germany, for the Crusher ZHS 850, all in the field „Processing Technics“. 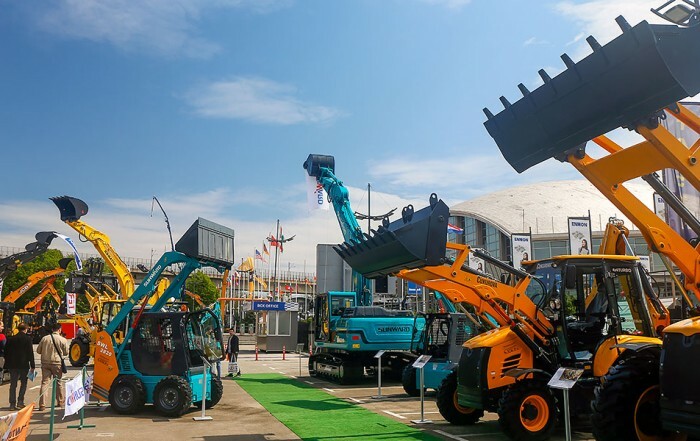 Also this Technical Fair showed the local economy and its public, social and business logistics are ready for the global scene, not only regarding the current trends, but also the opportunity and good will to apply them in the local economic environment. This is confirmed, not only in the symbolic way, also by the fact on the first Fair day the metal sheet punching machine TruPunch 5000, the most productive machine of this type in the world, was sold to a local buyer for rather high half a million Euros. Two days later, also for half a million Euros and also to a local buyer, the machine Messer Omnicut was sold, used for shear plasma and gas cutting. 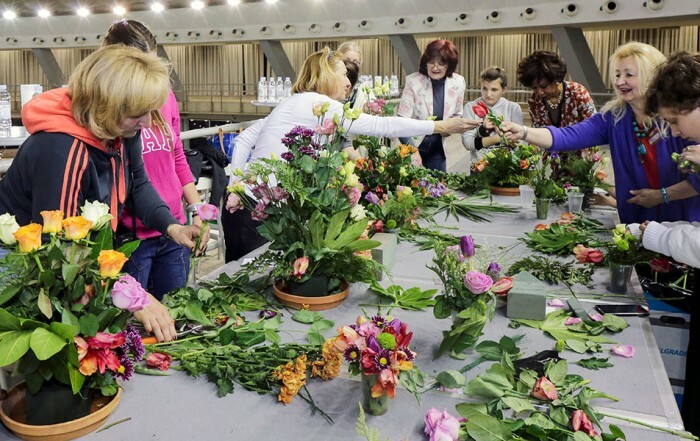 During the Fair, some exhibitors ‘reported’ also several on the spot concluded contracts with the total value of more than 1.5 million Euros. All these are adequate reasons to declare the previous 62nd International Fair of Technics and Technical Achievements successful and wait impatiently for the next one.